Addison Farms Vineyard is a family-owned and operated vineyard and winery. We planted our first acre of vines in 2009. At an elevation between 2250′ and 2300′, the vineyard is surrounded by nearly 360° mountain views. Visitors can tour our vineyard, enjoy our tasting room, and learn about our wine making process. 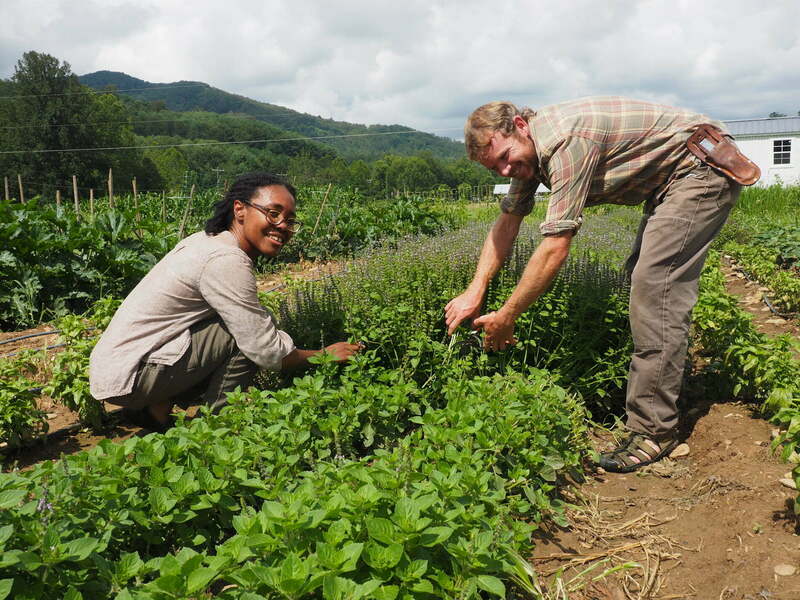 Flying Cloud Farm is growing food sustainably in a beautiful valley on a family farm in Fairview. We grow vegetables, berries, and flowers using sustainable methods without the use of chemical fertilizers, herbicides, or insecticides. Franny’s Farm is an organic farm and event venue with rental cabins. We sell organic fruits, veggies, herbs, and pasture poultry on Non-GMO feed. Contact us to schedule a farm tour or special event. Schedule your wedding,a tour or party. Organic Farm & Event Venue with Cabins. 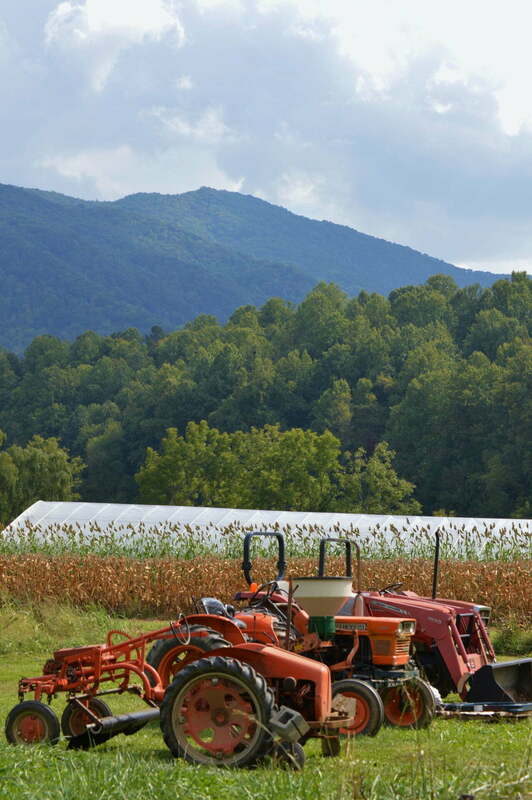 Our farm is located northwest of Asheville in beautiful Sandy Mush Valley. We cultivate five acres of a variety of vegetables, cut flowers and berries. Since 1997, we have been been selling our naturally grown produce at local tailgate markets, and since 2001, through our CSA. 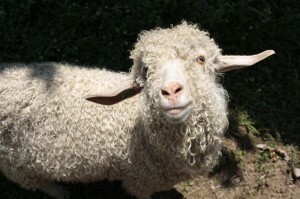 Marcia’s colored and white Angora goats produce mohair for her hand-painted, custom spun yarn. Farm visits are by appointment. Visitors will have a chance to meet the goats and their kids as well as learn about raising goats and the unique properties of the mohair they produce. The visit will also include demonstrations of fiber processing, dyeing, and felting. Our mission is to connect sustainable agriculture practices, our family history, and our customers by sharing the family farm experience and serving as an example of healthy land stewardship while providing high quality ethically raised meats. Find us at restaurants and retailers: Greenlife Grocery Asheville, Earth Fare, French Broad Food Co-op, West Village Market, over 20 restaurants in the Asheville area. 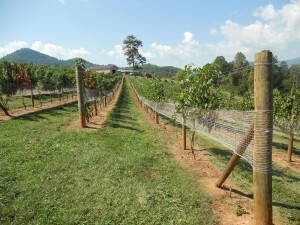 The Hop’n Blueberry Farm is an eighth generation family farm located under the scenic Craggy Mountains and offers many educational and fun agritourism for the whole family. 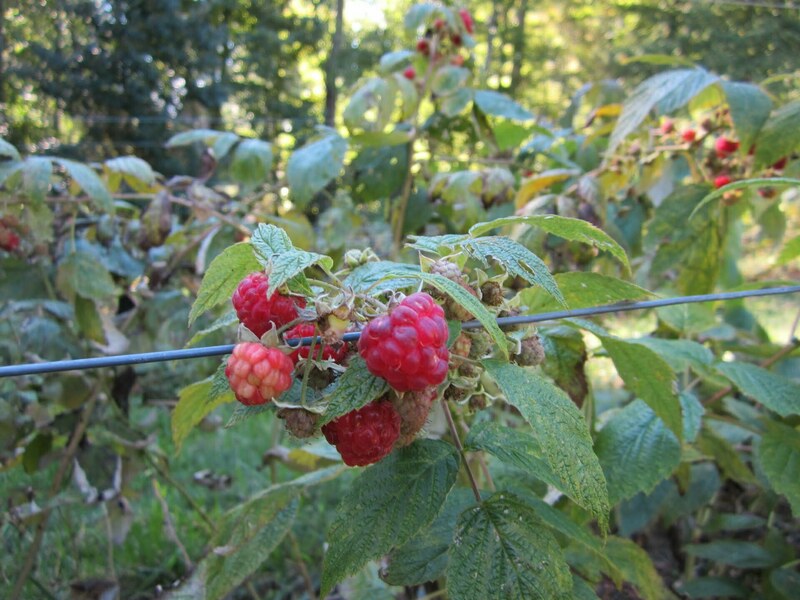 We specialize in hops, blueberries, medicinal herbs, and native pollinators. 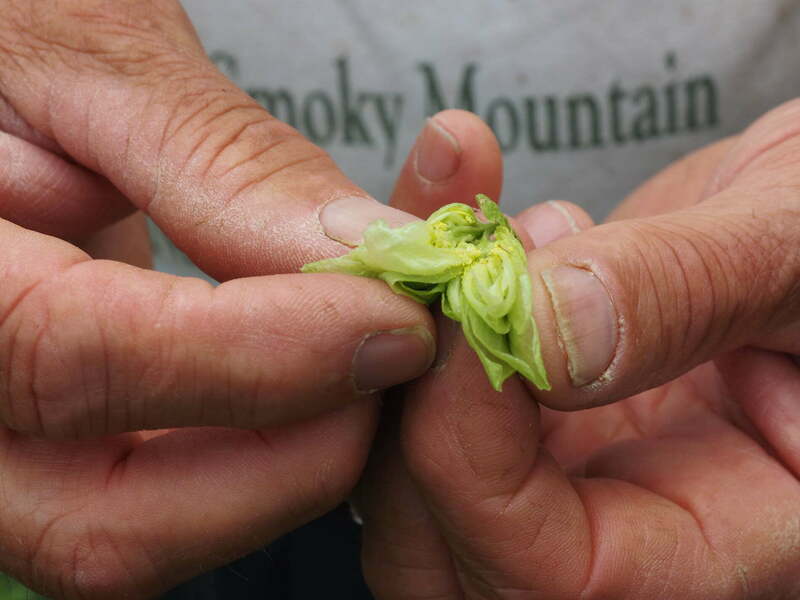 We offer specialized hop workshops and tours as well as our general tours. Open to the public for general tours on Saturdays at 1 pm. Call for reservations. At any time of year, a visit to Imladris Farm is an adventure of flavor and a chance to rejoin the age old cycle of seasons. We sell artisan jams and preserves, eggs, and naturally raised rabbit meat. Farm tours are available by appointment. Contact us for details. Located in Barnardsville, our farm produces high quality seasonal vegetables, cut flowers, and shiitake mushrooms using sustainable growing practices. Find us at restaurants and retailers: Omni Grove Park Inn, Curate, Plant, All Souls Pizza, Farm Burger, Glass Onion, Eden-Out-Meals, Mother Earth Produce, Mountain Food Products, and more! Please come visit, take a workshop, and explore our solar and eco-demonstrations, permaculture, u-pick organic blueberries and raspberries, apples, cider, chestnuts, edible landscape, tree crop nursery, and trout pond. Visit waterfalls, wildflowers, panoramic vistas, and abundant wildlife. Ecological learning is exciting, fun, rewarding and mighty tasty! A small, family farm located 20 miles north of Asheville in the Big Ivy community of Barnardsville. We grow unique varieties of seasonal herbs, berries, vegetables, and flowers using conservation-based practices. Our mission includes developing a model unique to our land for sustainable living. We are committed to sustainable and organic growing practices and building relationships with restaurants and customers that support small scale local growers like us! Visit our farm and river camp, including 10-acres of riparian ecosystems along the beautiful Broad River. Ask us about our farm stays and WWOOFing opportunities. Smoking J’s Fiery Foods are growers and producers of a wide range of peppers and pepper related products. We offer for sale a large diversity of seasonally fresh peppers as well we produce original hand crafted hot sauces, barbecue sauces, salsas, pepper jelly’s, and blended dry rubs. Find us at restaurants and retailers: The Chop Shop Butchery, Olive and Kickin, West Village Market and Deli, Asheville NC Home Crafts, and more. Venezia Dream Farm has healthy, gently raised, happy Alpacas. Selling high quality stock for breeding or fiber production and full service mentoring. Our farm store sells an array of alpaca fiber in natural colors and fiber products plus many ready to wear items such as socks, hats, and scarves and household furnishing and decor.